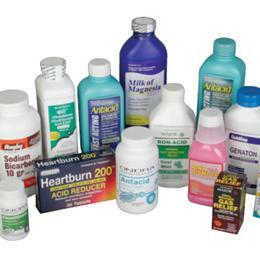 Antacids: Our Complete Antacid Line Of Medications Relieves And Helps Prevent The Discomfort Of A Number Of Acid Stomach Ailments Including Ulcers, Occasional Heartburn, Indigestion And Sour Stomach. Ron-Acid Liquid, 12 Oz. (Compare To Riopan).